Official Extended AliExpress Affiliate Program from Admitad is here and is available with AliPlugin. Now you can start working directly with this program instead of using Portals AliExpress. After you installed AliPlugin, go to General Settings, select Admitad AliExpress and click Register with Admitad Aliexpress. 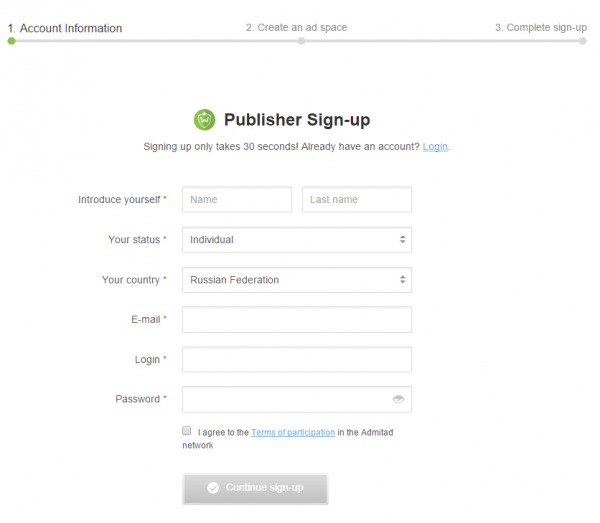 You will be redirected to Admitad where you need to click I’D LIKE TO BE A PUBLISHER. 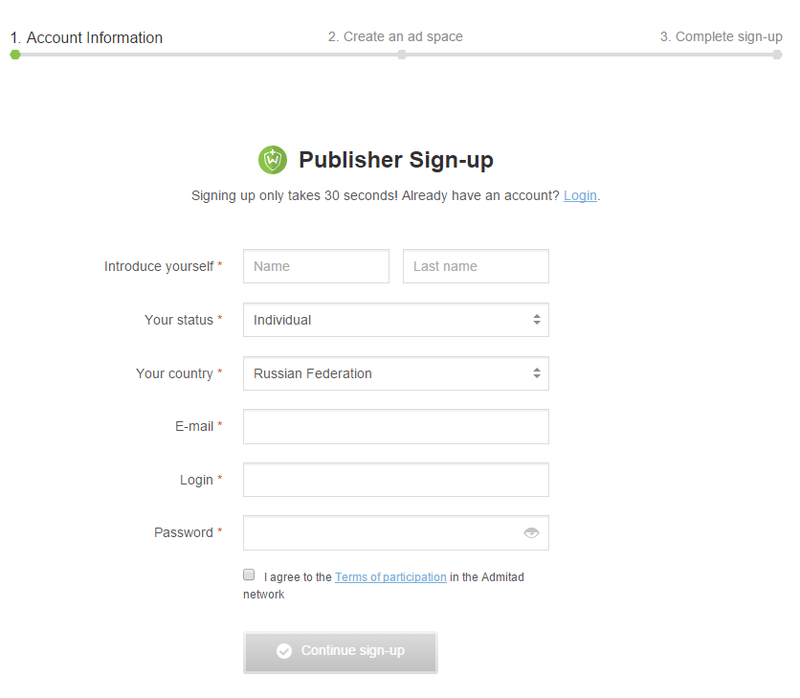 Fill in necessary account information and click Continue sign-up. 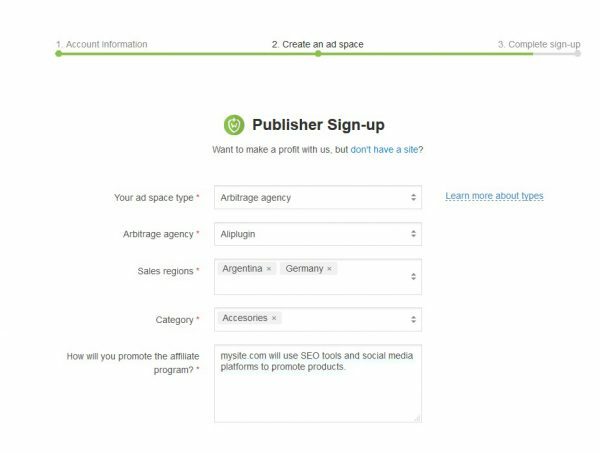 In Create an ad space section select Arbitrage agency for Your ad space type and Aliplugin for Arbitrage agency. Select any sales regions and category. In the field “How will you promote the affiliate program?” you need to put your website’s URL and some information about how you will promote the affiliate program. Click Continue sign-up and you are done. 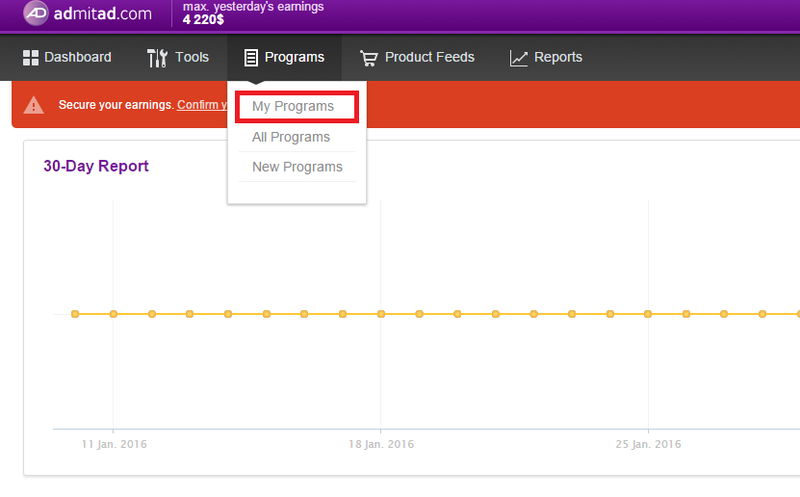 Now visit your Admitad account and go to My Programs section. 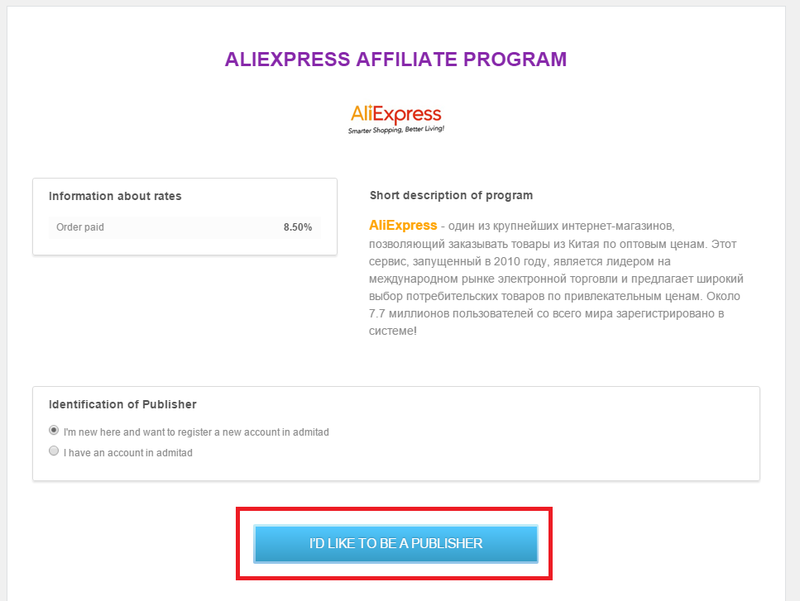 Note: to join AliExpress affiliate program you need to add ad space and verify it. Moderation may take up to 3 days and when your application is approved you can gen affiliate link. Click Link and copy your affiliate link from this window. Paste this link to the Admitad URL field on AliPlugin. Click Save Changes. Now the Plugin is integrated with Admitad AliExpress Program.